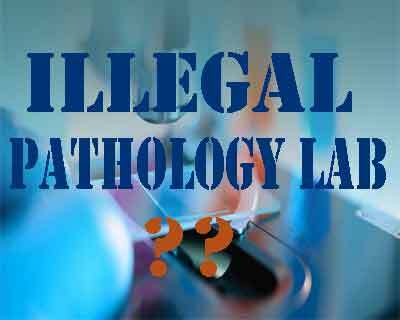 The complaint by MAPPM was directed against Dr Shingare, currrent Director DMER, alleging incompetence on his part in taking action pathology laboratories functioning in the state without certified pathologists and siding with these laboratories. The complaint filed clearly stated that Dr Shingare, in his role as a director of DMER, has not only failed to take action against a number of laboratories but has also made statements showing sympathy for the same, reports Asian Age. Producing evidence of Dr Shingare’s directives, the letter also mentions two different occasions where he denied testing of bodily fluids as a branch of medicine and said that there is no need to have a certified pathologist to run the laboratories. MCI deputy secretary Ashok Kumar Harit is reported to have contacted MMC and asked them to investigate the case and complaints against Dr Shingare and submit a report within six months. I have been writing to Maharashtra Medical Council and MAPPM regarding this DMLT issue. I had also given proof of DMLT technician signing the reports. Also there is a proof that one Ph.d who is not related to pathology field is also signing the reports. How can a Ph.d sign the reports.Just because he is conferred with Doctarate. He thinks himself to have become a doctor. I can give proof even today. I have filed 3 court cases against the said DMLT who is my Tenant.My lawyers are also of the opinion that if some action is taken it would be helpful in the suits.However not withstanding anything in the suit some strong action should be taken by the council urgently. AAp ne jo likha hai bilkul sach hai. Bina ghuss ke yeh kaam hua nahi hai aur iske saja dodhio ko milni chahiye.Aise DMLT jo unqualified hai who sach me logo ki jindagi se khelte hai. Aisa hi ek DMLT pathologist mera kiraedar hai aur maine uske khilaf court me suit file kiya hai.Ho sakta hai uska Lab bandh ho jay. Dr.Shringare sir if you think patient do blood sugar at home so why not Dmlt.Patient do pregnancy test.Abortion at home then we will give MD Gynac to patient.Dr.Shringare sir be on right side.Be on Truth. Did u ask Dmlt before taking admission to MBBS….We all know how admission are taken in MBBS streams streams….. It is really sad that person on this post is unable to differentiate between qualifed person and quacks.If he any time requires to do investigate where he will go quacks or pathologist.Other thing if his kids are pathologist whether he will advice them to join quacks for supervision.He should answer himself truely and then take decision. I totaly agree with you. By allowing DMLT\’s to run the Labs it is injustice to the qualified Doctors.I will go one step ahead and add this to your post. These DMLT should also prescribe medicines and carry out surgical procedures and child births also. Dr shringare ne medical feild ka majak bana ke rakh diya hai.